At Walt Disney World the Magic Kingdom will celebrate November 16-18, 2018 with special merchandise and food & beverage items. Guests can dance and party during the "Move It! Shake It! Dance & Play It!" Street Party, sing "Happy Birthday" along with the Dapper Dans on Main Street, U.S.A., and join in a special birthday dance party at Rockettower Plaza Stage in Tomorrowland. 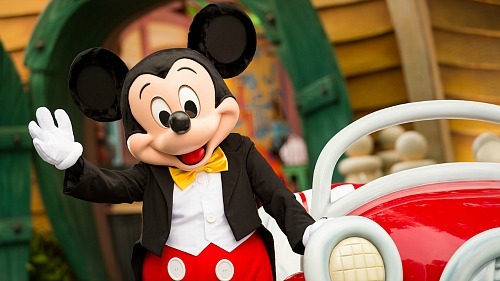 Then in 2019, Walt Disney World will continue celebrating when World's Biggest Mouse Party, a limited-time global celebration of Mickey and Minnie, comes to the Resort and to the Disney Cruise Line. In addition to celebrations in the Disney Parks around the world, 'Mickey: The True Original Exhibition' will pop up in New York City. This immersive, pop-up art exhibition is inspired by Mickey's status as a 'true original' and showcases his global impact on popular culture and art. It will include larger-than-life multimedia art installations, photo-worthy experiences and even a few surprises. With so many birthday parties to choose from, one question remains: which will you be a part of?